At the Animal Den, we understand live can be hectic. To help ease the chaos, we have added Express Groom Service. Express Groom allows you to move to the front of the line and get In, Out & Done with your pet’s grooming appointment in less than 3 hours*. This service is by appointment only with Sarah. Express Groom is just $25 in addition to standard grooming price. 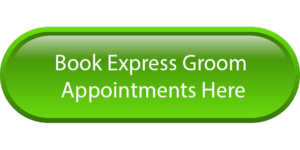 If you are pressed for time, let Express Groom put you back on schedule. *Results and timing depend on breed, size, coat, condition, groom, etc. 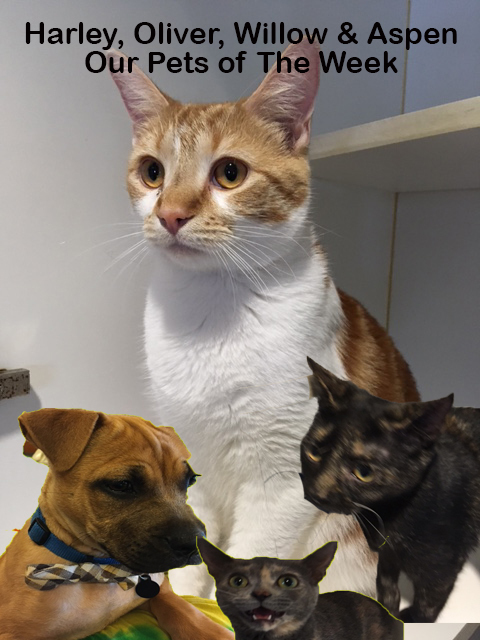 Put some color on your pet with Color Styling. The Animal Den offers both temporary and semi-permanent coloring to give your pet a little pizzazz. 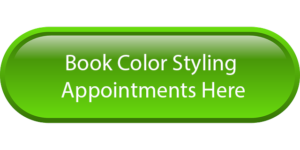 Temporary Color washes out in 1 wash it starts at $5 dollars, Semi-permanent color washes out in 4-6 washes and starts at $10 dollars. Do a single color accent, a multi-color accent or dye your whole pet. 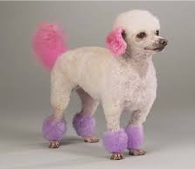 Make your pet stand out with Color Styling. Color Styling by appointment only with Sarah. Add our Pick up & Delivery Service and get your pet groomed, styled, and pampered with no hassle.